Archer, M., T. Flannery, S. Hand, and J. Long. (2002). Prehistoric Mammals of Australia and New Guinea: One Hundred Million Years of Evolution. Sydney: UNSW Press, 2002. Dickman, R. R. "Distributional Ecology of Dasyurid Marsupials." In Predators with Pouches: The Biology of Carnivorous Marsupials, edited by M. E. Jones, C. R. Dickman, and M. Archer. Melbourne: CSIRO Publishing: 2003. Flannery, T. Mammals of New Guinea. Sydney: Reed Books, 1995. Geiser, F. "Thermal Biology and Energetics of Carnivorous Marsupials." In Predators with Pouches: The Biology of Carnivorous Marsupials, edited by M. E. Jones, C. R. Dickman, and M. Archer. Melbourne: CSIRO Books, 2003. McAllan, B. "Timing of Reproduction in Carnivorous Marsupials." In Predators with Pouches: The Biology of Carnivorous Marsupials, edited by M. E. Jones, C. R. Dickman, and M. Archer. Melbourne: CSIRO Publishing, 2003. Morris, K., B. Johnson, P. Orell, A. Wayne, and G. Gaikorst. "Recovery of the Threatened Chuditch (Dasyurus geoffroii Gould, 1841: A Case Study." In Predators with Pouches: The Biology of Carnivorous Marsupials, edited by M. E. Jones, C.
R. Dickman, and M. Archer. Melbourne: CSIRO Publishing, 2003. Morton, S. R., C. R. Dickman, and T. P. Fletcher. "Dasyuridae." In Fauna of Australia, edited by D. W. Walton, and B. J. Richardson. Canberra: Australian Government Publishing Service, 1989. Strahan, R., ed. The Mammals of Australia. Sydney: Australian Museum, Reed Books, 1995. Wilson, B. A., C. R. Dickman, and T. P. Fletcher. "Dasyurid Dilemmas: Problems and Solutions for Conserving Australia's Small Carnivorous Marsupials." In Predators with Pouches: The Biology of Carnivorous Marsupials, edited by M. E. Jones, C. R. Dickman, and M. Archer. Melbourne: CSIRO Publishing, 2003. Wroe, S. "Australian Marsupial Carnivores: An Overview of Recent Advances in Paleontology." In Predators with Pouches: The Biology of Carnivorous Marsupials, edited by M. E. Jones, C. R. Dickman, and M. Archer. Melbourne: CSIRO Publishing, 2003. Fisher, D. O., C. R. Dickman. (1993). "Body Size-Prey Size Relationships in Insectivorous Marsupials: Tests of Three Hypotheses." Ecology 74 (1993): 1871-1883. Jones, M. E., and L. A. Barmuta. 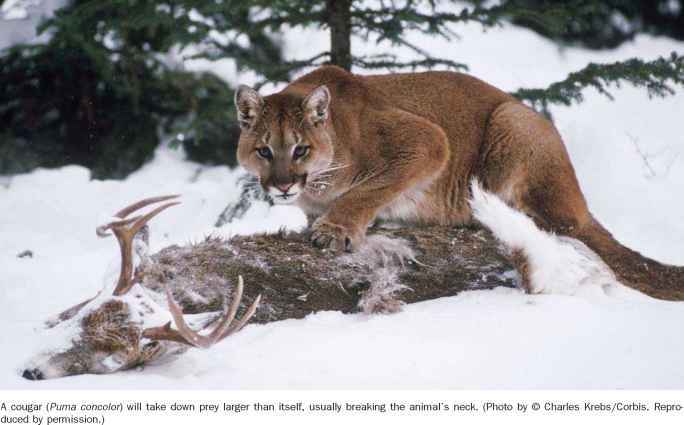 "Diet Overlap and Abundance of Sympatric Dasyurid Carnivores: A Hypothesis of Competition?" Journal of Animal Ecology 67 (1998): 410-421.